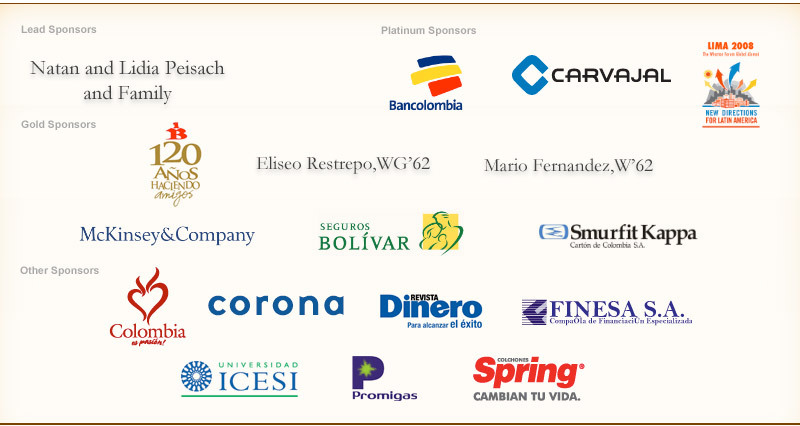 We are pleased to announce the Wharton Global Alumni Forum Raffle in Bogotá on May 21–22, 2009. As of Thursday, May 21, all Forum participants will have the opportunity to purchase as many tickets as desired at a cost of 10 USD (or equivalent in other currencies) each. The more tickets you purchase, the greater your chances of winning a prize. You may purchase tickets at any time during the Forum. At dinner on Friday, May 22, winners will be drawn and announced. In keeping with the tradition of the Forum Raffle, the proceeds from the sale of tickets will be donated to a charity chosen by the members of the Organizing Committee. This year, the charity chosen will be “Fundacion Corazon Verde (Green Heart Foundation)” — a foundation supporting widows and orphans of the Colombian National Police who died in service. To learn more about this worthy organization, click here.